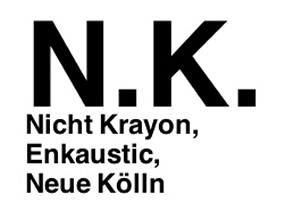 Art Kill Art Label Night with Repulsive Society / Presbyacusis 2 2 20 000 HZ; Yann Leguay / Wireless; Valentina Vuksic / Trippin Through Runtime; Schwarzes Loch (silent loop streaming) by Carl Y :: May 8, 2010; 7:00 – 11:55 pm :: NK PROJEKT BERLIN, Elsenstrasse 52, Neukölln, Berlin, Germany. Repulsive Society / Presbyacusis 2 2 20 000 HZ is a sonic performance based on the frequencies commonly used by sonic weaponry technology (LRAD, Mosquito, Sonic Nausea, Mind Molester), the performance explores the outer limits of human hearing and is not recommended for children, pregnant women and people with heart disease. You have been warned. Repulsive Society is a digital media & sound art collective, focusing on subverting the security technologies and the non-lethal acoustic weapons. Yann Leguay / Wireless: Wireless : this word defines every wireless technologies : GSM, UMTS, 3G+, WiFi : LAN, WLAN… but also the classical hertz frequencies (radio, tv, radars…) … The various wireless technologies have modified our communications, but also the electromagnetic landscape, sometimes creating saturated areas. No one really knows today the exact consequences on the human brain, it is a true experiment in which we participate. The performance Wireless proposes to makes audible this invisible landscape. Yann Leguay is a visual artist & composer. He is a member of the Radio Free Robots collective and the director of the label Phonotopy. He’s also the director of the Artkillart DRIFT collection. Valentina Vuksic / Trippin Through Runtime: A collection of elderly laptops is being examined via magnetic pickup microphones. The microphones transform the magnetic waves around the various electronic parts of the computers. Each action upon the laptops can be sensually experienced through a broad range of layered sounds. Already plugging the power and booting up an operating system reveals an own small-scale universe of sounds and provides insight into the complex spare room emerging between hard- and software. This space is being explored and further modelled by triggering actions on purpose. System analysis tools, stress tests and custom c-programs shall bring the characteristics of each machine into the limelight. „Tripping Through Runtime“ is a long-term study, diving into the invisible interrelationships of hard and soft computer matters by sensual means. The project aims at provoking and detecting specific behaviour of individual computer components in match with adequate software pieces. The microphone demonstrations are part of the first experiments to become acquainted with the hardware components.